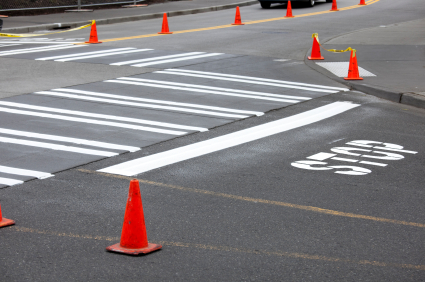 There’s no denying the importance of highway striping and road striping. Not only are they as important as traffic signs as far as informing and instructing traffic, they often do so without saying a word. Highway striping tells us how many lanes there are, when we can and cannot pass, and where to go when exiting a highway. Sure, they touched upon their meaning in driver’s ed class, but the highway striping that directs traffic is basically intuitive and simple, and the guidance of those lines on the road is essential in maintaining a safe and directed flow of traffic. That is why their visibility is so important—especially in low light conditions. Zimmerman Paint is the authority in the highway striping business. 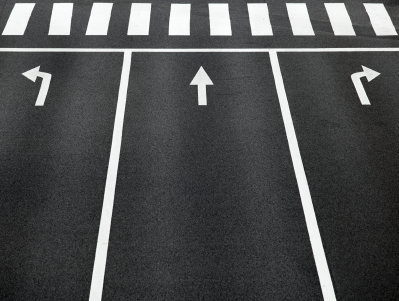 ZPC is pre-qualified to perform work for the Ohio Department of Transportation and follows all Federal Highway Administration specifications for highway striping, however that’s not the only thing that is important. The safety of travelers and the smooth flow of traffic are also paramount. With expertise and experience, ZPC can give you just that. To see examples of our work, see our Experience Matters section. To see more about the types of paint we use, visit our Types of Road Paint section.